This cake isn't grain free to be 'healthy' - it's inspired by traditional Italian recipes made with ground almonds instead of flour to give a moist and dense texture. I added a teeny pinch of Cardamom which I think makes it all the more sweet and fragrant. 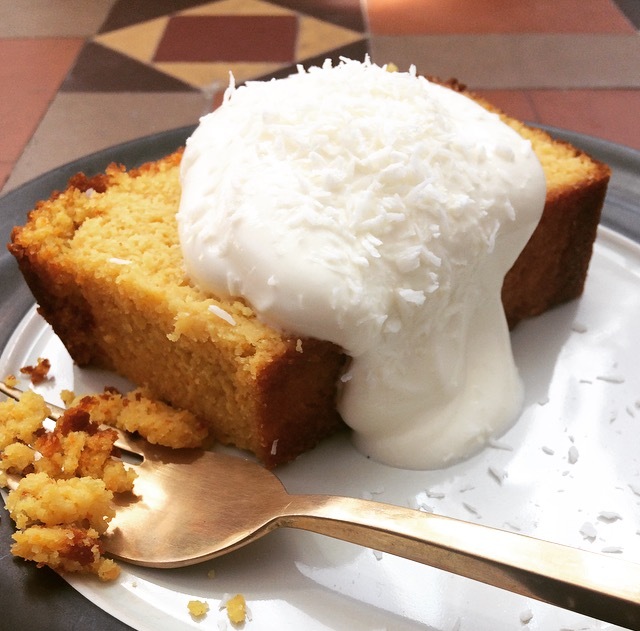 I love this cake with a big dollop of Greek yoghurt. Vegans, try it with coconut yoghurt !. The fresh, slightly sour yoghurt cuts through the sticky sweetness of this cake. Pour mixture into a greased (i use olive oil) loaf tin and bake for an hour or until golden brown on top. Stick a knife in to check. If it comes out clean, it's cooked.